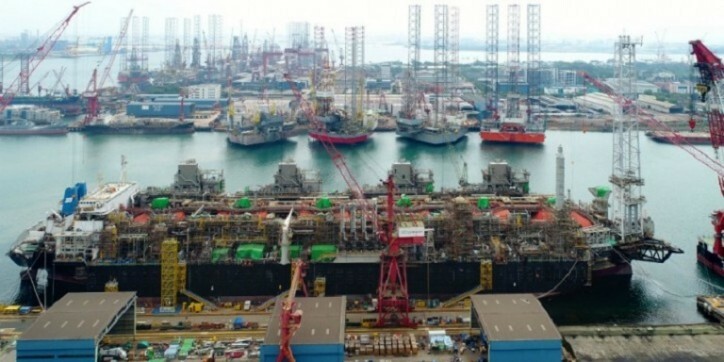 Keppel Offshore & Marine (Keppel O&M)'s wholly-owned subsidiary, Keppel Shipyard Ltd (Keppel Shipyard), has received the Final Notice to Proceed (FNTP) from Gimi MS Corporation, a subsidiary of Golar LNG Limited, to commence full conversion works for the Gimi Floating Liquefaction Vessel (FLNG) project. The total contract is worth US$947million and builds on the issuance of the Limited Notice to Proceed (LNTP) on 17 December 2018. Keppel Shipyard's scope of work in the conversion of a Moss Liquefied Natural Gas (LNG) carrier into an FLNG vessel includes the design, detailed engineering and procurement of the marine systems as well as conversion-related construction services. It will be similar to the work done on the first FLNG vessel, Hilli Episeyo, which Keppel undertook for Golar, but will be customised for the 20-year BP Greater Tortue Ahmeyim contract offshore West Africa. Delivery of the vessel is expected in 1H 2022. Mr Chris Ong, CEO of Keppel O&M, said, "We are glad to continue this strong partnership with Golar on such a successful FLNG solution. The success of the Hilli Episeyo has provided the industry with strong proof of the attractiveness of Golar and Keppel's conversion solution. This has further strengthened our offerings along the gas value chain. Leveraging our engineering as well as execution expertise and LNG capabilities, we are able to partner customers in developing innovative and fit-for-purpose solutions to meet the needs of the market."